Our Accommodation branch has been operating since 2001 in the South West of England. We provide a complete cost effective solution to your temporary accommodation needs. Whether it’s for long or short term hire, our highly skilled and experienced staff can guide you from the initial idea through to fitting to ensure a smooth installation. Our Accommodation division is located in Plymouth and supplies the Cornwall/Devon and Bristol area. Using its local knowledge and expertise to provide a high quality product with renowned customer service. To hire accommodation units contact our Plymouth depot 01752 341200. Whether it is for additional secure office storage, archive storage or on-site safe storage our accommodation branch will have something from this range to suit your needs. The anti-vandal range of high security storage units are bespoke steel units. 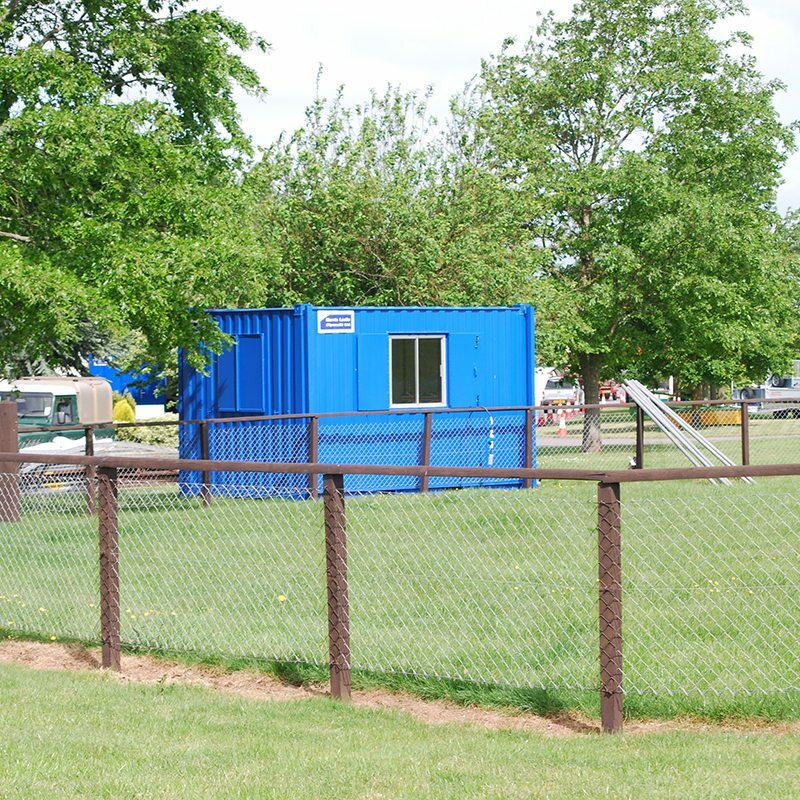 The shipping container range are pre-manufactured standard container units with the usual features which usually require an external padlock for final security. 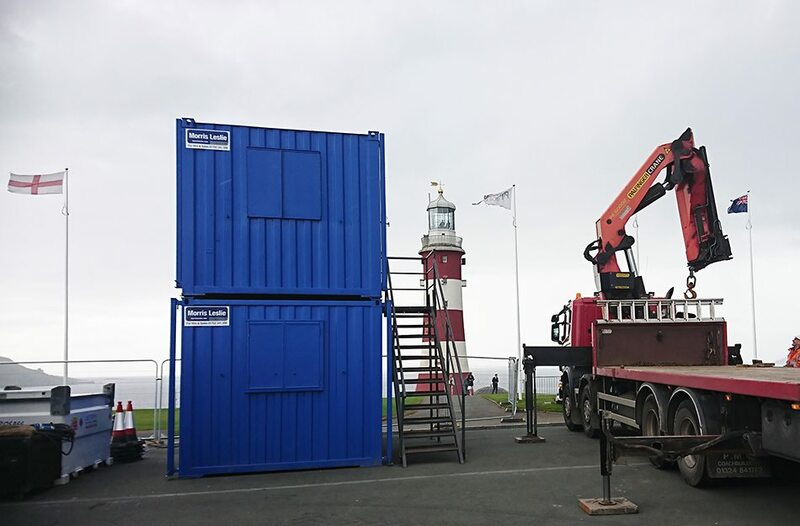 The secure containers have integral locking systems (no padlocks required) and are readily available to hire from Morris Leslie Accommodation, contact 01752 341200, and we will provide a fast, competitive price for short and long term rentals to meet your individual requirements. We also provide a comprehensive transport service, placing your storage containers exactly where you need them. The anti-vandal range is available to hire in both a heavily profiled and flat sided external steel wall finish and comes with internally locking steel window shutter systems. All anti-vandal range cabin units can be used singly or double stacked, furthermore certain units can be linked together side by side. These units can provide you with peace of mind, knowing that your unit is safe from vandalism. Especially popular for construction companies and those customers in remote or potentially difficult areas. To hire a Morris Leslie Accommodation anti-vandal unit contact 01752 341200, and we will provide a fast, competitive price for short and long term rentals to meet your individual requirements. 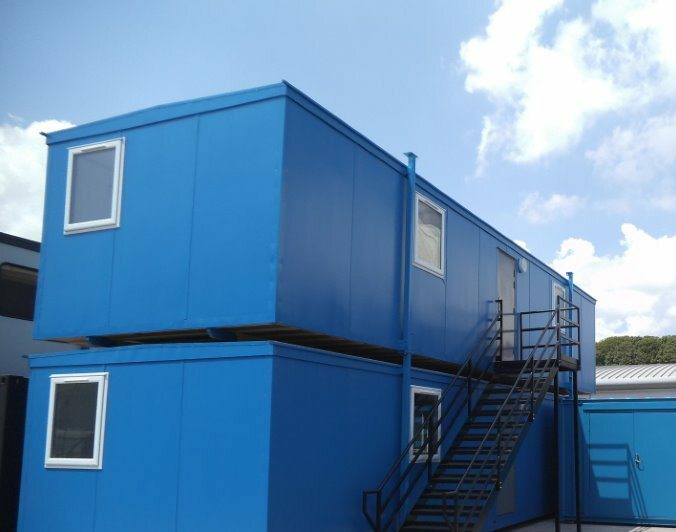 Morris Leslie Accommodation’s typical standard portable office cabins for hire are pre-manufactured units with telescopic steel jacklegs to assist with loading and levelling on site and can be used singly or double stacked. Additionally, certain units can be linked together. 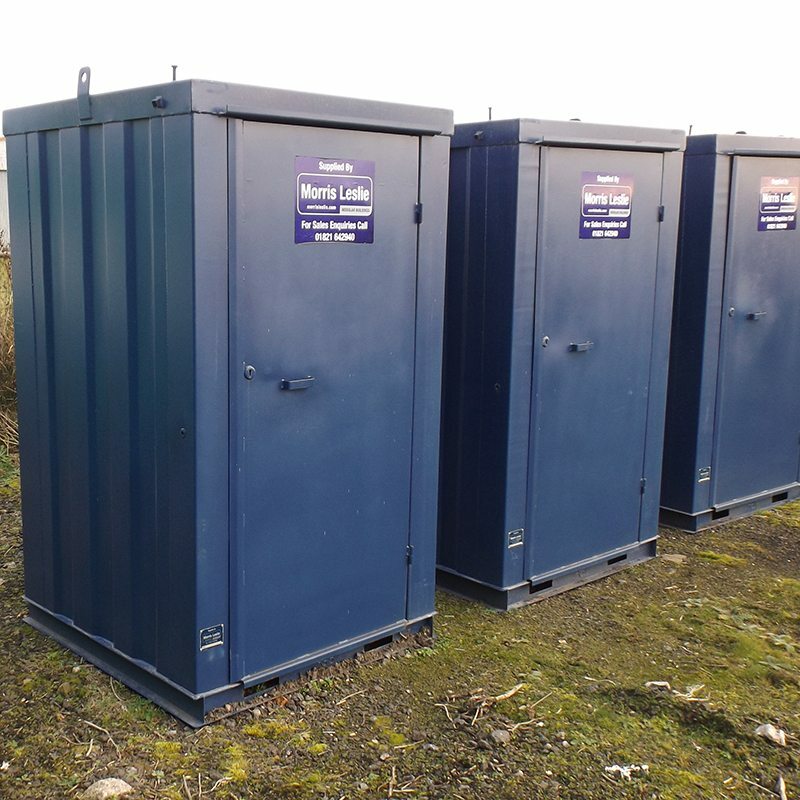 Generally cabins for hire are finished as Anti-Vandal Units and are available in sizes from 12ft to 32ft. To hire an attractive office cabin on short or long term call Morris Leslie Accommodation on 01752 341200.